We offer Nugen range of PSA Gas Generators to provide inert /protective atmosphere required in following critical processes in steel industry. » Hardening / Tempering / Normalizing / Annealing of various components made out of different grades of steel. » M/s. Uttam Galva & Steels Ltd.
» M/s. Bhushan Steels & Strips Ltd.
» M/s. Jindal India Ltd.
» M/s. Essar Steels Ltd.
» M/s. 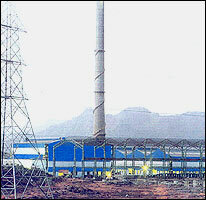 Kalyani Steels Industries Ltd.
» M/s. Ruchi Alloys & Strips Ltd.
» M/s. Shri Precoated Steels Ltd.
» M/s. Gemini Steel Tubes Ltd.
» M/s. National Steels Industries Ltd.
Our wide varieties of Nugen range of PSA Gas Generators are used to produce ultra pure nitrogen in Polyester chips, Nylon chips, POY and Nylon fiber plants .An ultra pure nitrogen atmosphere is crucial in producing high quality and bright Polyester/Nylon chips and fibers. Our Nudryer range of low pressure air dryers are widely used in spinning plants to produce low dew point air required in Polyester/Nylon chips dryer. Dryness of chips is extremely important to produce fine quality Polyester/Nylon fibers. In a modern textile & spinning plant, Our fully automatic and Computerized Textile Air washer and Air Handling Units (AHU) are used for maintaining desired humidity and temperature. » M/s. JBF Industries Ltd.
» M/s. Indo Poly (Thailand) Ltd.
» M/s. Century Enka Ltd.
» M/s. Jindal Polyesters Ltd.